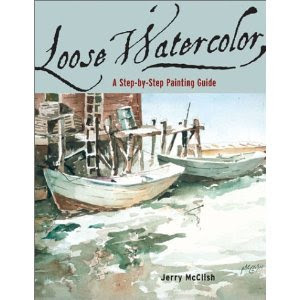 Using a simple palette of only six colors (with two alternates), Jerry McClish introduces artists to a whole new way of painting in watercolor. He calls it "loose" watercolor. Through step-by-step examples, he shows you how to create an original painting with splashes of loosely placed color washes and brush strokes. When finished, the end result is stunning. "For me," McClish states, "painting loosely is extremely invigorating. It starts out very simply, then goes on a rampage of seemingly wild but truly well placed color patches and brush strokes that finally, and delightfully, end up as a gorgeous picture. Once this technique is mastered, your educated brush just dances over the paper and needs little help." Jerry McClish teaches art at his local community college, is featured on cable TV, and is a frequent contributor to The Artist's Magazine. He lives in Bradenton, Florida.